Massachusetts is a strict liability state, meaning if someone is attacked or bitten by a dog, they have rights. The owner of a dog or the parents of a minor who owns a dog are liable for the personal injuries and damages that dog causes another person or someone else’s property. The only exception to the current dog bite liability law in Massachusetts is if the person bitten was trespassing, tormenting or teasing the dog, or if they were abusing the dog. Children under 7 years of age are not considered part of these exclusions. When a dog bite occurs in Massachusetts, there may be serious consequences for the victim. Dog bite injuries can range from mild lacerations to deep wounds that can lead to infection, scarring of tissue, reconstructive surgeries and even amputation. In rare cases for the young and elderly, these injuries can include serious head trauma and even wrongful death. The psychological pain and trauma can also be overwhelming and debilitating. There are also instances where someone has lost their life due to a dog bite injury. The medical bills can be daunting and never-ending as a victim may need long term care or rehabilitative services. A victim can even lose pay as they need to take off work to recover. The important thing to remember if you have been the victim of any kind of dog bite attack is that you have rights and are entitled to a settlement to help with the financial ramifications of a dog bite injury. The insurance company or the dog owner may all try to get you to settle for less than you deserve or even less than you need to recover from the incident. Having a skilled and compassionate Massachusetts dog bite injury attorney help guide you through negotiations and also help advise you on the progression of your case and potential settlement is essential. The law firm of George C. Malonis will investigate the scene, interview witnesses, gather evidence proving the extent of your injuries, line up medical witnesses and expertly litigate your case if need be. 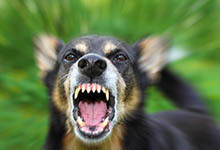 Most cases involving personal injury such as dog bites are settled out of court because insurance companies know that when victims are represented by a Massachusetts dog bite attorney, they know their rights and expect due process. Don’t let insurance companies settle your case before you even know the full scope of your injuries or what the damages could cost you in the long run. Contact George C. Malonis as soon as possible after the dog bite incident so you get the compensation you need and deserve. You have already been victimized once. Let the dedicated professionals at George C. Malonis ensure it doesn’t happen again.